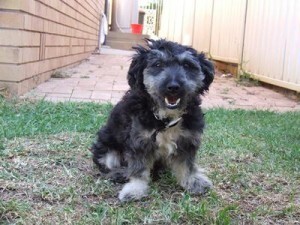 The size of a Mauzer is medium sized when compared with the rest of the body, resembling to the head of a Schnauzer. The muzzle is a bit long and rather skinny. The nose is either black or brown and is almost always twitched. Mauzers have an excellent sense of smell and they tend to sneeze when they get angry. Their necks have solid, sturdy builds. In smaller families Mauzers fit very well also because they have a tendency to connect very strongly to only one or even two members, although even they would still choose a favorite of the two. Mauzers adore to be spoiled and to be in the center of attention, so they would follow people everywhere if they are allowed to do that. They do well with children, especially with older ones, but it is important to bear in mind their nipping preference. It is a bit surprising that Mauzers are low shedders. Brushing is required once per week at the minimum. Weekly bathing is also important, but special shampoo would be required, as they are prone to having an itchy, dry skin. As Mauzers’ teeth easily turn to yellow or brown, weekly brushing of teeth is mandatory, using vet approved toothpaste and toothbrush. There is some attention required with regards to their paws and the hairs being cut, trimmed or lipped a few times per year. Ear infections are likely to occur for Mauzers, should the necessary cleaning and drying are not carried out properly and in a timely manner. Mauzers are not known as having eye problems and posses strong bones. Like for most other dogs, the training plays a very important role for Mauzers as well in moulding them as intelligent dogs. It ensures the dogs develop a good behavior and their abilities and skills are improved. 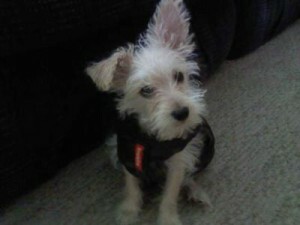 The training should come along with socialization and both should start when the dog is very young. Playing is also an important element, as this helps them be happy and stay in good physical shape. This also helps them burn the large amounts of energy they possess, so Mauzers should get daily playtime. The ideal place for them is the backyard, without a leash around their necks, so they can run free and play whenever they want. Exercising helps them not only to stay fit, but also to develop and maintain a good behavior. On average, a Mauzer is expected to live up to twenty years and no less than ten, but this can vary depending on several factors such as environment, health, level of care, etc. 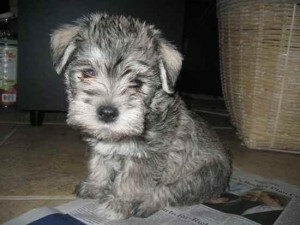 The size of a Mauzer is medium sized when compared with the rest of the body, resembling to the head of a Schnauzer. The eyes are brown with very few exceptions. The ears can have different shapes and appearances, depending on how they were for the parents. They can be floppy, erected or pop back. The muzzle is a bit long and rather skinny. Mauzers have a strong bite. The nose is either black or brown and is almost always twitched. Mauzers have an excellent sense of smell and they tend to sneeze when they get angry. Their necks have solid, sturdy builds. Compared to the rest of the body, the legs appear rather small. The pads are most often black, brown or gray and they show some white or pink spots. The Mauzers’ long tails are usually skinny and whippy. The coat is usually dark brown, but the exceptions are white, sandy or in combinations of these. Other details of the coat such as length and pattern are variable, depending on the parents. Mauzers can weigh up to 9 kilos and have a height of up to 36 centimeters. Usually the adults are not lighter than 3 kilos and shorter than 20 centimeters. However, the weight and height are very much related to the ones of the parent breeds. 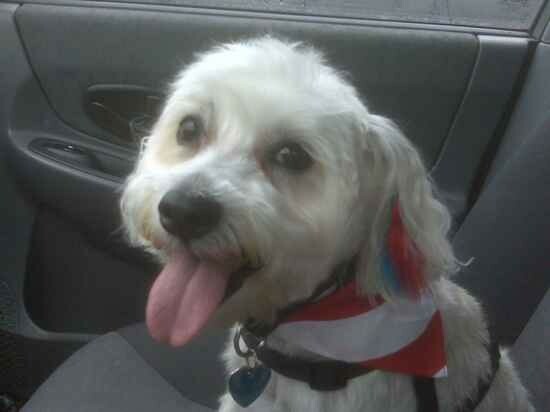 Mauzers are generally happy dogs. They enjoy having fun and they are funny in return. However, due to their tendency to nip, they are not the most appropriate dogs for large families. The large energy reserves make these dogs hyperactive dogs. If training and socialization are not introduced to them at early ages and are not carried out properly afterwards, Mauzers can develop a bad behavior and even turn aggressive, especially when they are very excited. Barking and howling may also occur, no matter if it’s addressed to other animals or strangers. Barking is different depending on the reasons and it usually sounds very surprising and sudden. Despite them being wary of strangers, Mauzers are quite loving and affectionate with their families. Although their loyalty is towards the entire family, they will choose only one person as their favorite and bound strongest to that person. If raised together, they will do well with older children or other pets. It is important for all dogs to receive a proper training and all the necessary socialization at a very early age. These elements ensure the dogs develop nicely, well tempered and put their skills at work and even improve their qualities. They should be allowed to meet new people often, so they familiarize with more persons and behave well in the presence of others besides their families. So invite as many friends as often as possible and take these dogs out whenever travelling or paying visits to friends, as this will represent a very important experience for Mauzers. Every contact counts both in the short and the long terms, helping defining a good temperament and making the dog more sociable. Most often the Mauzers are very nice companions in smaller families, due to their preference to only one or 2 members at most. They can do very well with children, but if there are several children, one should really consider getting more than just one such dog. They tend to nip so it’s important to keep an eye on them when interacting with children and the same goes for other pets as well. However, it is recommended to get such dogs when the children are a bit older due to their hyperactive way of being and nipping tendencies. Mauzers don’t shed too much. However, there are some grooming requirements that are good to be aware of. Weekly brushing and bathing is important for these dogs. Special shampoos are very likely to be needed, as their skin is often dry and itchy. Their teeth also require some special care and need to be cleaned with special toothpaste and toothbrushes, as they tend to turn yellow or brown. Ear infections are one of the health dangers for these hybrid dogs. In order to prevent them from occurring, it is important to keep them clean and dry at all times. Dry and itchy skin is a condition to which these dogs are prone, but which can be controlled by the use of special shampoos and their teeth are easily turning yellow or brown if necessary cleaning is not performed correctly and on a weekly basis. Mauzers have no known eye problems. Training is probably one of the most important stages in the dogs’ lives, as it helps shape their personality and temperament for the better. This also improves their skills and abilities and helps the dogs to act as the intelligent animals that they are. Early training needs to be carried out, along with early and constant socialization. These are key elements in molding the dog’s temperament and behavior. Mauzers are not easily house broken, so firmness, consistency and gentility need to drive their training. Although they can be really stubborn at times, it is important not to forget that they are intelligent dogs so it’s all down to how good is the training they receive and how much socialization they are exposed to. Always use treats and positive reinforcements during the training sessions. However, Mauzers needs to be made aware that the family members are the leaders, otherwise they may develop an inconsistent temperament and bad behavior. Highly energetic dogs, Mauzers require a lot of playtime and other physical exercises in order to be happy and healthy. Their large energy reserves need to be burnt by consistent daily playing sessions, or long walks and runs. Mauzers enjoy this kind of activities and these will also help them avoid behavioral issues. The Mauzer’s litter size is usually of eight to ten puppies, but it can vary at times. 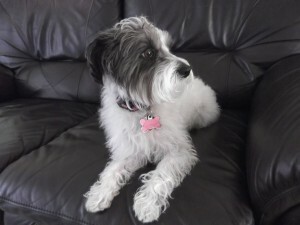 This entry was posted in Maltese Mix, Miniature Schnauzer Mix. Bookmark the permalink.